My grandmother loved polka music. Like, LOVED it. I used to help her out at these Wednesday night Party in the Parks in the local town square, selling popcorn and dancing with her in the gazebo. 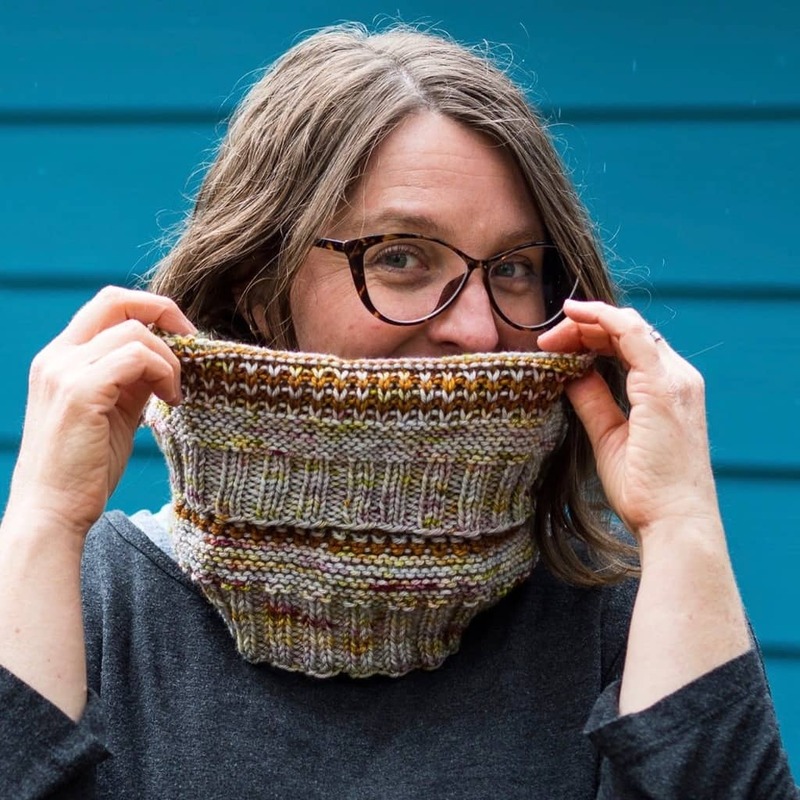 When I finished this cowl—which truly gave me the best knitting pleasure with every stitch—and Stefan suggested calling it the Barrel Cowl, the song The Barrel Polka jumped into my head, and I found myself thinking fondly of those Wednesday nights in the summers of my youth. The cowl also looks just as cool on the wrong side as it does on the right side, so it’s almost like two patterns in one. Finished Measurements: Single loop (double loop): 25 (52)” circumference; both sizes are 11″ high. Yarn: approximately 275 (550) yards total worsted- or aran-weight yarn. I used Farmer’s Daughter Fiber Squish Worsted in Polebridge, cA, 215 (430) yards; & Plucky Knitter Traveler Aran in Sticky Toffee, cB, 60 (120) yards. Needles: US8/5mm (or size to obtain gauge) circular needle. 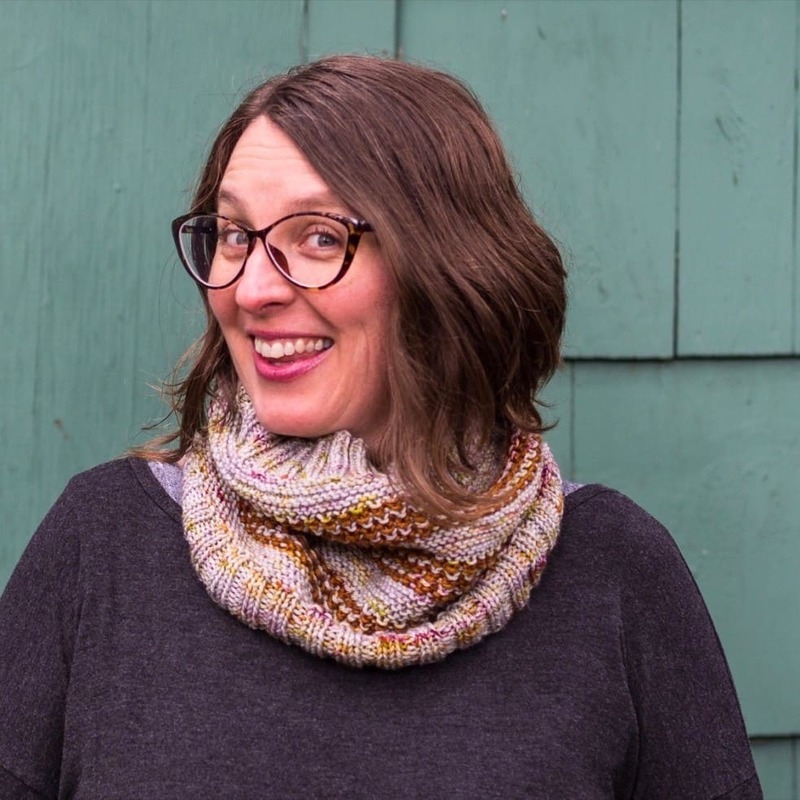 For the Single Loop cowl, I used a 24″, but you could use a shorter circular, or a very long one and utilize magic loop. Gauge: 20 sts = 4″/10 cm in garter stitch, measured after blocking.